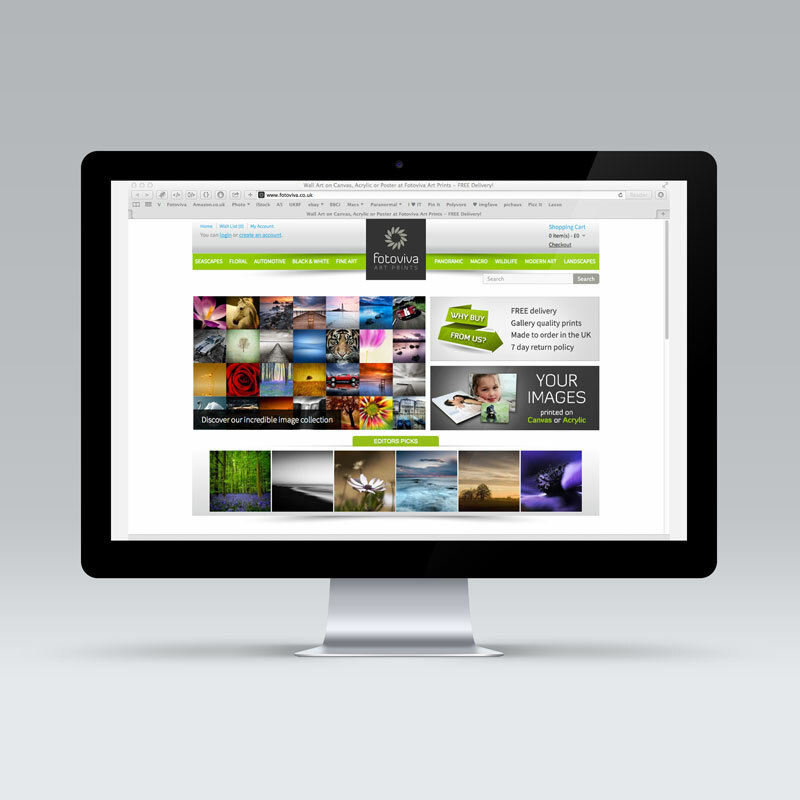 Viper designed the popular online gallery called Fotoviva Art Prints. These are a Worcester based company that sell several forms of wall art to customers via their Opencart based e-commerce website. The site was heavily modified to suit their range of wall prints and theme preferences and includes an infinite scroll system on the category pages and an integrated WordPress news section. Each print is available in three formats – canvas, acrylic or poster. UPDATE: This site has now been moved over to WordPress completely and features a brand new design to reflect the company’s ongoing marketing approach.